Slim down with these body contouring procedures: ranging from completely non-surgical to minimally invasive, there is a way to look your best and fit into holiday wear again! If you're still feeling stuffed from yesterday's big feast - you are not alone. According to the U.S. Department of Agriculture, over 45 million turkeys are consumed during Thanksgiving in the United States alone. So if your waistband is feeling a bit tight and you're concerned about what upcoming holiday feasts and parties will bring, there are several body contouring options that may just help you fit back into that little black dress. From non-surgical to minimally invasive, here are 4 new body contouring options may offer a range of results and depending on how soon you want to see results and how invasive you're willing to go. 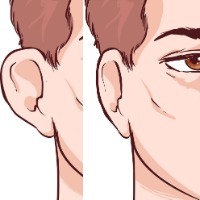 While Exilis is FDA approved for the treatment of wrinkles or rhytids, physicians have found that off-label use of the device may provide spot fat reduction. Exilis has higher monopolar radio frequency (RF) energy that is capable of reaching subcutaneous fat, breaking up fat cells which are then eliminated through the lymphatic system and liver. During the procedure, the Exilis hand-piece is guided over the problem area, for example the love handles, abdomen, or back fat and patients report a warm sensation, which is countered with a cooling system for patient comfort. According to Los Angeles board certified plastic surgeon, Dr. Grant Stevens of Marina Plastic Surgery Associates, "We've seen subtle changes and the more treatments the patient undergoes, they more fat reduction we've seen. 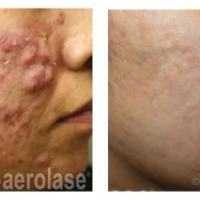 We recommend 4-6 treatments, about a week to 10 days apart, for the best results." 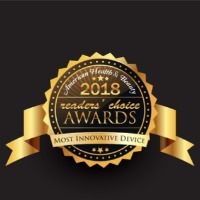 Recently FDA approved for the non-invasive reduction of fat, Coolsculpting by Zeltiq uses cryolipolysis, or very cold temperature, to address spot fat. Using a combination of cold and suction, fat is sucked into the hand-piece and temperature is brought down to just above freezing. Treatment time is about an hour, after which fat cells are crystallized and destroyed. The fat is then eliminated over the next few months by the body's natural processes. Several treatments are recommended to get the best results. Areas that can be treated are currently limited to the size of the hand-piece but new larger hand-pieces may be on the way so larger areas, for example the abdomen may be treated in one treatment vs. 2 separate ones (above and below the waist). In regards to where treatment is most effective, Dr. Stevens, who also offers Coolsculpting at Marina Plastic Surgery Associates, remarks, "We use it to primarily treat the abdomen, love handles, bra fat area and the arms." VASER Shape is FDA approved for spot fat reduction and the temporary reduction of the appearance of cellulite. By using a combination of ultrasound energy and massage, unwanted fat is first broken up by the high frequency sound waves and then followed up with a massage to move destroyed fat to the lymph nodes, which is then eliminated by the body's natural processes. "Vaser Shape stands out because it produces great dramatic results with inches lost sometimes with the very first treatment," says Columbus cosmetic surgeon Dr. Marie DiLauro. However, a series of treatments, approximately 4-6, are recommended for maximum fat reduction results with each treatment ranging from 30-60 minutes depending on how large of an area is being treated. The next step up from completely non-surgical, Smarlipo is a minimally invasive procedure which uses laser technology to liquify unwanted fat. Local anesthesia is necessary as a small incision is required in which a thin cannula is inserted into the body for the laser to melt fat. Simultaneously melting fat, the laser also cauterizes blood vessels, resulting in less bleeding, swelling and bruising. The fat is then aspirated through the same incision, reducing extraneous scarring. According to Ann Arbor cosmetic surgeon Dr. Robert Burke, "Similar to liposculpture technique, fluid is placed in the area to safely use the Smartlipo laser. The laser gently heats up the area, dissolving fat which is removed it at the same time and the laser stimulates the skin tightening." FDA approved, the treatment will take approximately 45 minutes and studies have shown that little, or no fat will be reabsorbed into the body. Unlike it's non-surgical counterparts, only 1 treatment is typically needed and most patients can return to work within 1-2 days. It is important to discuss your expectations with your physician to determine the best body contouring option for your needs. While many of the non-surgical fat reduction procedures may offer a way to loose a few inches, for more dramatic results, a more invasive procedure may be necessary.